Its been a while since I’ve blogged. There is never enough time to get to everything and so this is what went by the wayside. But with the advent of a new pup in my life I am resurrecting the blog as a way of keeping track of my training and progress with him. He is a German coolie and I am so excited to be getting a breed that is new to me but still has a lot of attributes I love about my cattle dogs. 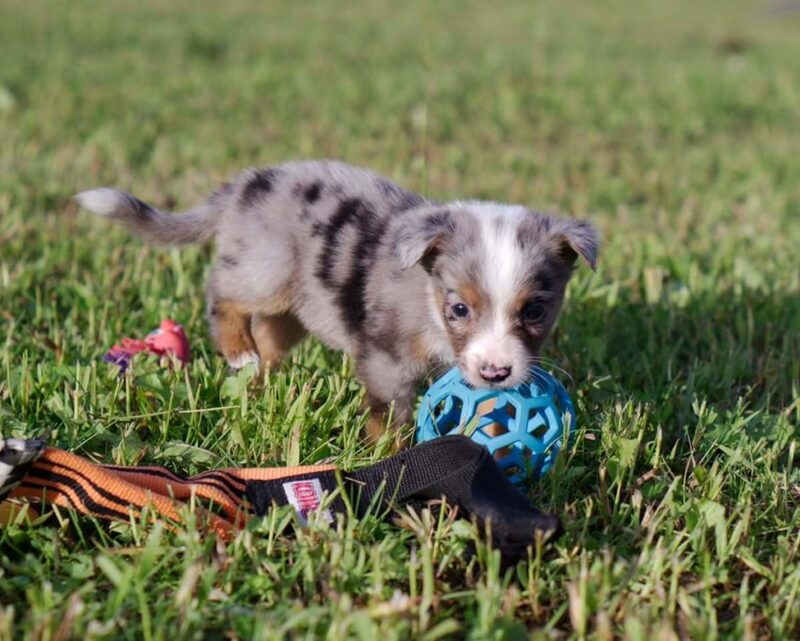 The breed is drivey, willing, smart, biddable and up for any activity. It will be fun to learn what makes him “tick”. He has no name yet but I have a few choices spinning around my head. 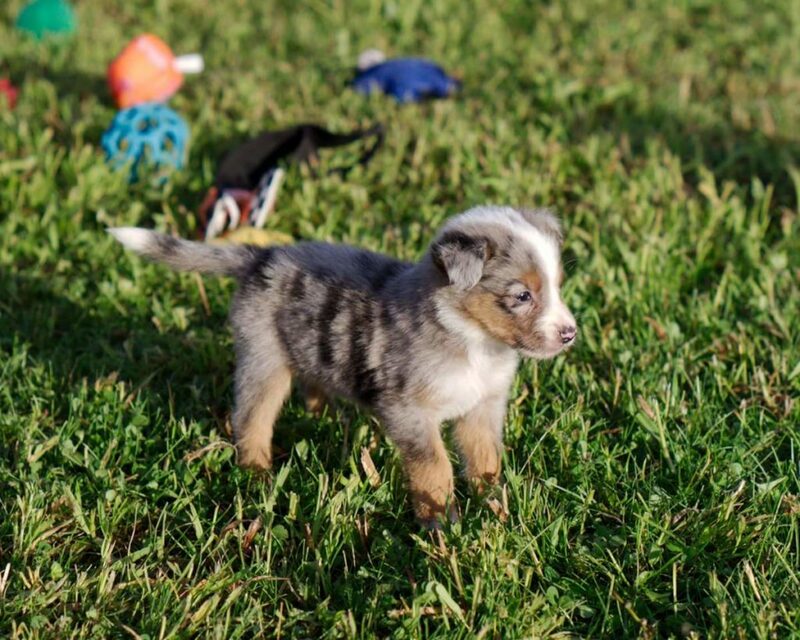 Here is my favorite photo of him, also at 5 weeks. So stay tuned, I’m excited to share the journey. So glad you are going to resurrect the blog! Can’t wait to follow your adventures with the Coolie to be named later.